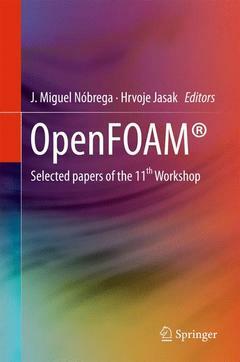 This book contains selected papers of the 11th OpenFOAM® Workshop that was held in Guimarães, Portugal, June 26 - 30, 2016. The 11th OpenFOAM® Workshop had more than 140 technical/scientific presentations and 30 courses, and was attended by circa 300 individuals, representing 180 institutions and 30 countries, from all continents. The OpenFOAM® Workshop provided a forum for researchers, industrial users, software developers, consultants and academics working with OpenFOAM® technology. The central part of the Workshop was the two-day conference, where presentations and posters on industrial applications and academic research were shown. OpenFOAM® (Open Source Field Operation and Manipulation) is a free, open source computational toolbox that has a larger user base across most areas of engineering and science, from both commercial and academic organizations. As a technology, OpenFOAM® provides an extensive range of features to solve anything from complex fluid flows involving chemical reactions, turbulence and heat transfer, to solid dynamics and electromagnetics, among several others. Additionally, the OpenFOAM technology offers complete freedom to customize and extend its functionalities. Chap 33. The Harmonic Balance Method for Temporally Periodic Free Surface Flows.- Chap 34. Two-Way Coupled Eulerian-Eulerian Simulations of Drifting Snow with Viscous Treatment of the Snow Phase.- Chap 35. Use of OpenFOAMR for Investigation of Mixing Time in Agitated Vessels with Immersed Helical Coils.- Chap 36. Wind Turbine Diffuser Aerodynamic Study with OpenFOAM.